Plus, we’ve added extra glutamine, which naturally occurs in protein which helps to build and repair new muscle.1 This is super-important for your recovery, helping you feel your best session after session. And, it comes in a range of delicious flavours including Natural Vanilla and Chocolate Mint. 2. Choline contributes to normal lipid metabolism. 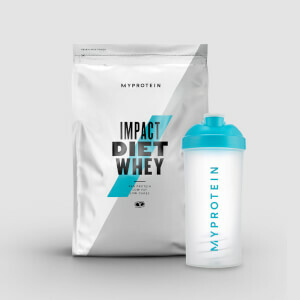 When to take Impact Diet Whey? 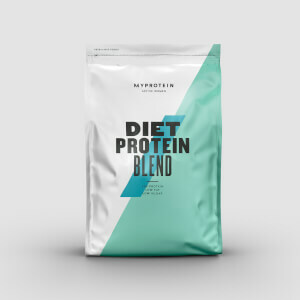 Add 2 large scoops (60g) to water or milk 30-60 minutes after your workout to get the best results from our diet shake, or enjoy any time for an all-important protein boost. 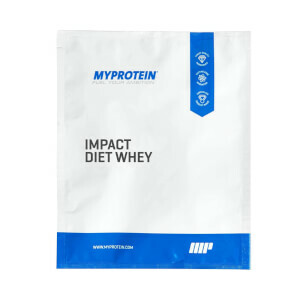 What does Impact Diet Whey work well with? To get your essential amino acids in a convenient way, top up your Impact Diet Whey with Essential BCAA 2:1:1 — the ultimate branch-chain amino supplement. 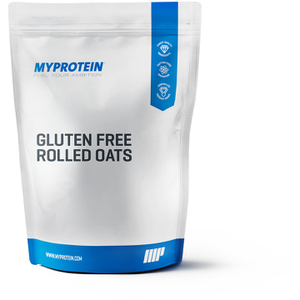 Works well just with water as well as in porridge smoothies and protein muffins. Water / milk / gains? I really like this product! I brought it in strawberry shortcake! Mixes really well with water! Satisfies hunger and doesn’t clump! Lost 7lb in my first 2 weeks of use! I ordered chocolate flavour and it is a bit too sweet for me, but well, I don't have sweet tooth so it is just me. Apart from that, it mixes very well and effective. Happy with my purchase! Been wanting to try a vanilla flavoured protein powder so I have this one a try and it certainly doesn’t disappoint! The flavour isn’t too strong so it’s something that can easily appeal to all taste buds and has a very soft texture, almost quite velvety. Highly recommend to those who prefer easy protein shakes with simple flavours! Vanilla protein pancakes! Use the MyProtein pancake mix and add a dash of vanilla extract and it tastes amazing! Great taste, mixes well, high in protein (39g) got to be one of the best on the market. Tastes good, mixes well, good value. Been ordering from my protein for years. Huge fan of the standard and diet Whey. Both mix perfect and taste great. I have been on a weightloss journey for 13 months. Have lost 70lb and gone from dress size 22 to 12. It has all been down to hard gym work and diet. I have been using impact diet whey every day for lunch. All the flavours are great but mint choc chip is amazing. Tastes like an aero bar or melted ice cream. Delicious! I mix with water as I'm on low calorie intake and it tastes great.